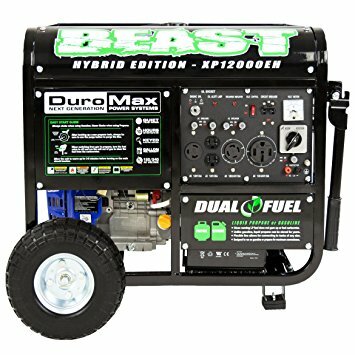 You will never regret being prepared with the DuroMax Dual Fuel Portable Backup Generator for Extreme Weather Conditions – ‘The BEAST’ is one that can be essential in dire situations. If there is anything that the recent Texas hurricanes and floods have proven, it is that you always need to be prepared for the fury of Mother Nature and natural disasters. Kohler Generator vs Generac Generator: Which Is Right for You? In places that suffer the wrath of bad weather, either of sweltering summers, torrential rain, hurricanes, wildfires or below-zero temperatures, power shortages and blackouts are quite frequent. To be prepared for such calamities, people need solid backup generators for extreme weather conditions. Recommend DuroMax Dual Fuel Generator for Extreme Weather Conditions? DuroMax is based in California. They make engines and generator. They are known to comply fully with both ETL and MTL benchmarks. As an added advantage, it runs on low vibration and does not give out any noise, as compared to traditional diesel-powered engines. The generator itself has a fully equipped control panel. This panel allows you to keep a constant watch on essential instrument readings like volts and watts. Also, there is a circuit breaker to prevent short-circuits. The generator delivers a maximum AC (Alternate Current) output of 12000 Watts and a Rated Output of 9500 Watts. It has an impressive fuel tank capacity of 8.3 gallons. This also implies optimum efficiency in performance. The above video will give you a good idea of the basics of the working of a typical dual-fuel generator. You can also learn how to switch between different fuels. I like having options and I very much like the option of powering my generator with different types of fuel. The Dual Fuel feature means it can run on propane or natural gas. Additionally, if you opt for natural gas, there are many benefits. Natural gas is hailed for being cleaner, safer and more long-lasting than diesel. The gasoline fuel will deliver a maximum output of 50% in 10 hours while the propane fuel will deliver the same in 20 hours. When the fuel runs out, the generator will switch off to protect the engine. With such superior, practical features, this generator is a must have in an emergency preparedness plan. It’s easy-to-use, and it’s also very versatile. You’ll find yourself using it in everyday situations, not just in times of bad weather. It is also ideal for those who are camping out in desolate places where there can be a spell of a storm or rain. People bring this type of generator with them to their cabins and summer homes. You will find yourself using this generator a lot more than for when there’s inclement weather.